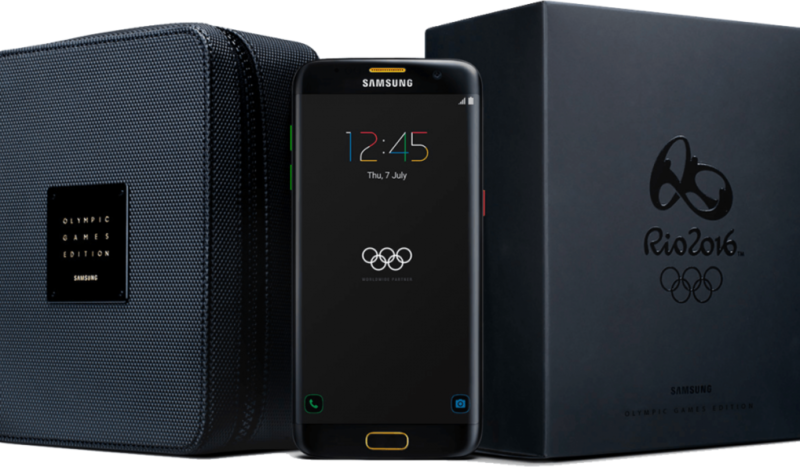 Yesterday, Samsung took the wraps off the Galaxy S7 edge Olympic Edition. However, it failed to provide any detailed pricing and availability information for the handset, other than that it would go on sale in Brazil, China, Germany, Korea and the United States on Monday, July 18. Rather unexpectedly, the company has just launched a pre-order page for the device in Germany. Those interested in getting their hands on a unit can reserve one starting today for a whopping €879, but they’ll have to hurry as there’s only 2,016 pieces available. The webpage reveals some additional details about the Galaxy S7 edge Olympic Edition that Samsung held back during its unveiling yesterday. Unlike the standard variant, the Olympic Edition will ship in a gorgeous, textured limited edition box, which will have the individual identification number of the handset inside embedded on it. These numbers start at GER-0001 and go all the way up to GER-2016. It’s believed that the South Korean company will start shipping the handset to those who pre-ordered on the 18th, and will reach customers within 1-2 business days.